How can I manage my project(s)? In this article, you will find how to manage your project(s). Weglot is organized around projects. For each website there is a Weglot project. How does the projects work? How many projects can I have? Where can I add projects? From your Weglot Dashboard you can access the projects tab at the very top left. 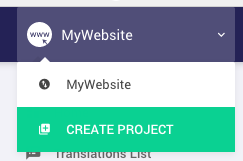 Click on it, you'll see a dropdown with a green button "Create project" to add a new project (see below). From this tab you can also select the project you want to work on. What are the specific settings of a project? 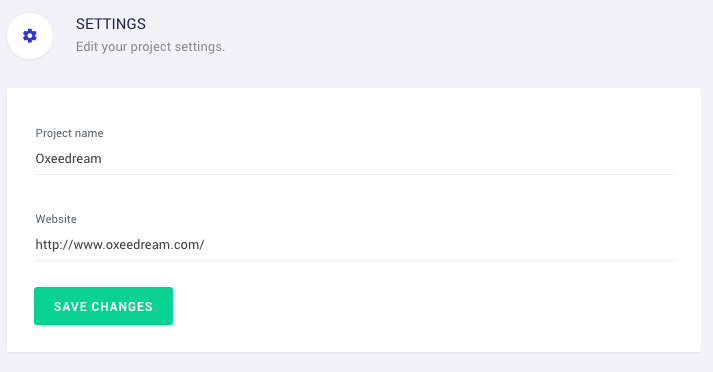 You can find the different project settings detailed below on your Weglot account, under "project settings". Give a name to your project to easily navigate between your different projects. You can also fill the websites URL, it's important to get the Visual editor working properly. There is one API key for each project. You can add members to your project with different level of permissions (Translator or Manager). You can delete a project for a website that is no longer live. Please note that if you delete the project you would loose all the translations associated to the projet too.